MSD stands behind the work that we do and are proud to share a few of the stories about businesses we have had the fortune of working with. We have partnered with these companies, learned about what makes them great, and provided a custom service that helped them operate at their best. They wanted to achieve all of these goals within a 30 day window while maintaining a comfortable environment for their tenants. MSD designed and installed a key card system so that tenants can gain access securely. 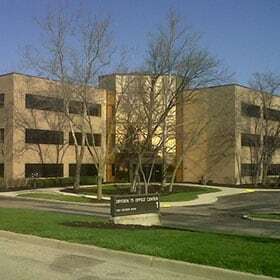 MSD also installed variable speed drives for added energy savings to the new and existing systems, and a web-based Honeywell building automation system with energy dashboard, allowing Cassidy-Turley to manage the amount of conditioned air being sent into separate rooms based on size and need. Management is also able to monitor real-time gas and electric usage throughout the building. Cassidy-Turley employs MSD to provide routine, planned maintenance to keep all of their mechanical systems operating at peak performance. 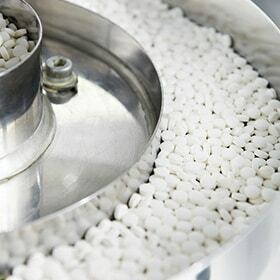 The Pharmaceuticals company receives and ships products that are packaged with a chemical called Ethylene Oxide that sterilizes their products. This chemical is potentially harmful when exposed at levels higher than .5 microns for a long period of time. Their shipping and receiving area was registering levels above the designated safe limit. MSD designed and installed a multi-fan and dampers system, which changes the air 10 times every hour to keep the chemical exposure level within acceptable limits. The system design serviced both the shipping & receiving areas as well as the semi trucks that move the products. call for .2 microns or less. Colliers International believes in maintaining their facilities at the highest level for tenants. 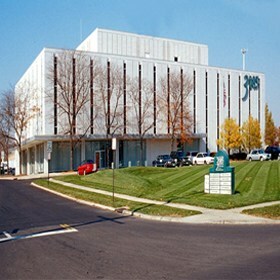 One of their three-story office buildings in Dayton, the comfort levels were not at the levels desired. The goal was to improve the comfort levels throughout all spaces, add secure entry points at the facility, and take control of wasted energy. MSD designed a new Honeywell open protocol BAS system to replace both the inoperative proprietary controls and pneumatic systems. The new BAS brought all the systems components under one platform to allow for optimum control and efficiency strategies to be incorporated. With web-based access Colliers International can monitor and manage the facility remotely as if they were on site. A new key card access system was integrated with the BAS to secure entry points of the facility and control unauthorized entry during off hours. Colliers International employs MSD to provide routine, planned maintenance to keep all their mechanical systems operating at peak performance and efficiency. 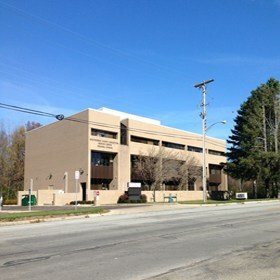 The Montgomery County Educational Service Center building would flood often because the area is a flood plane. Water would come in through the walls, requiring cleanup services each time the area received heavy rainfall. MSD installed temporary pumps to remove old water and prevent further damage while we designed a new, custom pump system for the building. MSD provided water extraction services and removed water from the carpeted areas. We designed a variable flow pumping system capable of removing 200,000 gallons per hour which included four sump pits around the perimeter of the building, all funneling into a trunk line that moved the water to a cistern system for removal. MSD also designed and installed an automated system that detects the water level and automatically turns the pumps on as needed, and off when flooding is no longer a threat. The building has not seen any additional flooding since MSD installed the customized pump system. The HVAC system and a restroom at Patterson Park Church are located in the basement of the church. MSD was hired by the church to create a plan to get fresh air into the basement and exhaust out. Due to the unique layout of the building, the only way to deliver the fresh air is through the sanctuary. This provided an additional challenge, as the systems would need to blend into the look and feel of the sanctuary without becoming an eyesore. 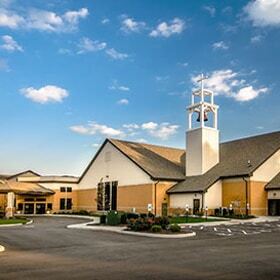 MSD worked with the Church Facilities Director to design a system to meet all building code requirements, as well as maintain the external and internal appearance of the church building. 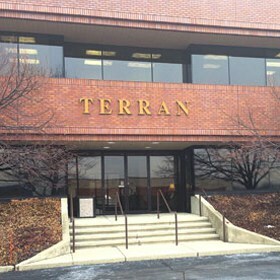 Terran’s building houses multiple business offices. Each office has different heating and air needs based on size, number of employees, and other factors. Due to the variety of businesses and people who use the building, employees needed a uniform way to gain access at different times. MSD’s Building Automation department created a system that allows Terran to monitor temperatures in each office, and set occupied and unoccupied times. By installing a security card system, employees at any business in the building are able to securely use the main entrance whenever necessary. MSD maintains the mechanical systems in the building for Terran, keeping the business running at its best. Terran saves money on energy costs by monitoring and automating the HVAC system on an office-by-office basis. Employees and tenants are more comfortable at work. The building runs more efficiently, with less downtime due to equipment malfunction. Please feel free to contact us for any questions or further inquires.